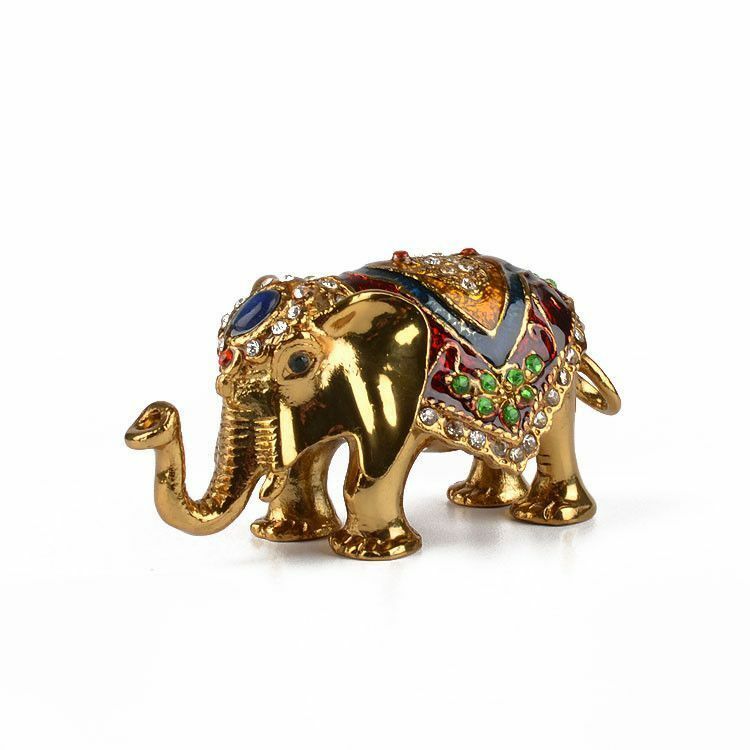 A fun gift for the elephant lover! 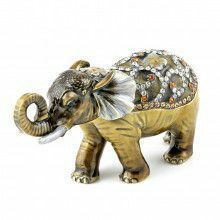 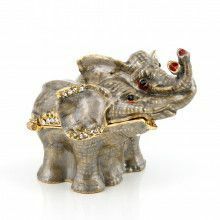 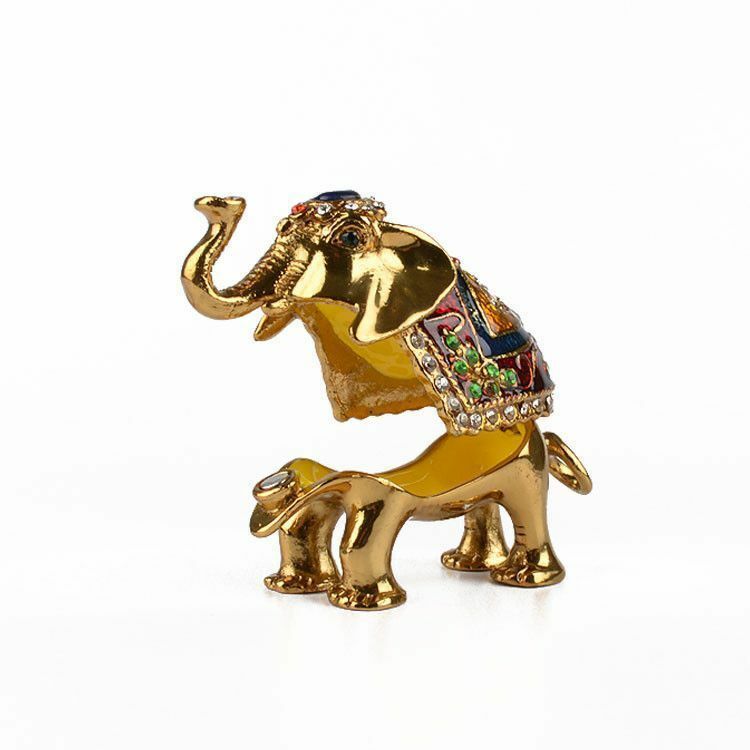 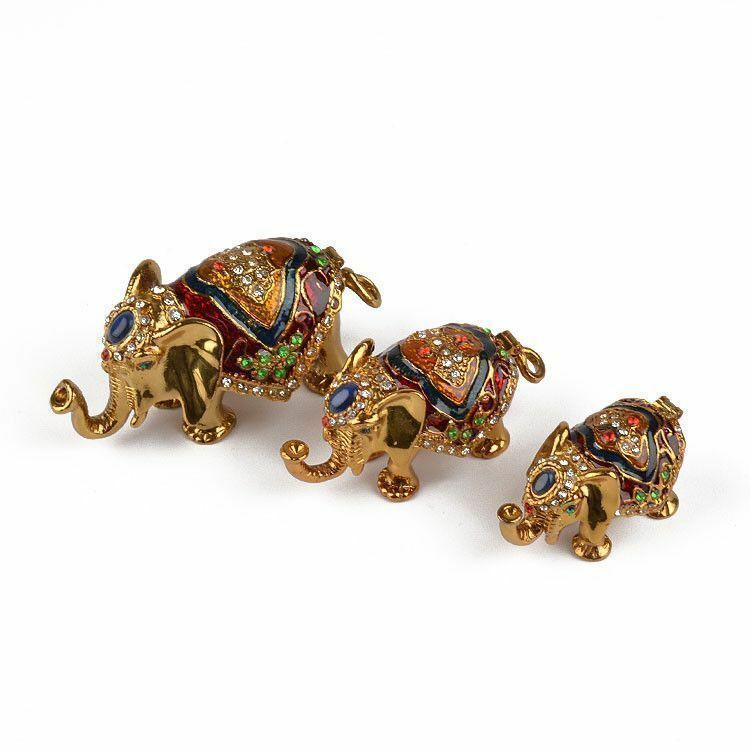 This 3 piece trinket box set contains golden elephants of descending size, with accents of red and decorated with sparkling crystals. 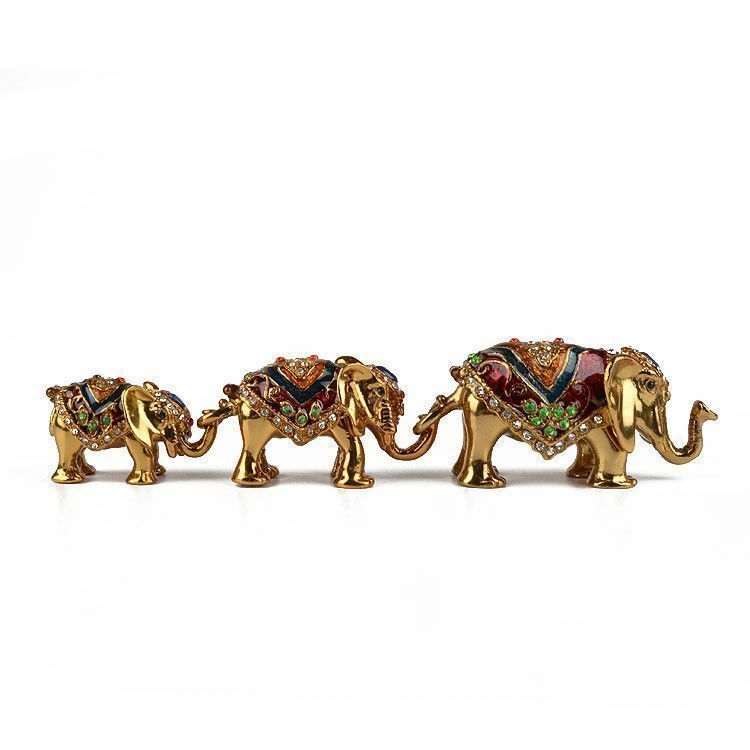 Each elephant opens and closes the same way, with a hinge and magnet. 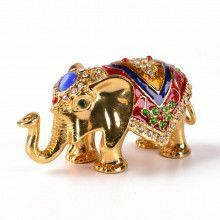 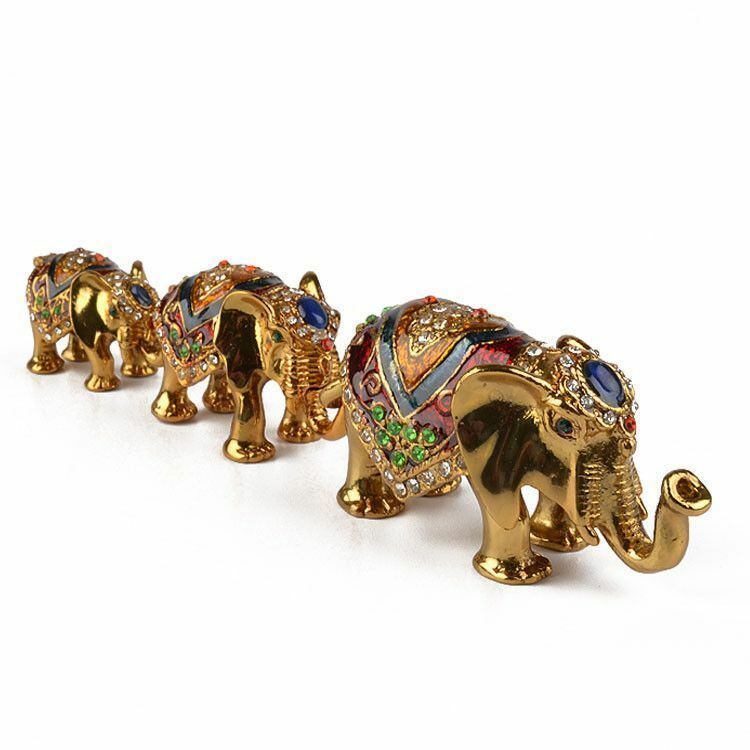 These elephant boxes are a unique way to store very small items such as jewelry, and they are also a lovely decor option for many homes and offices. 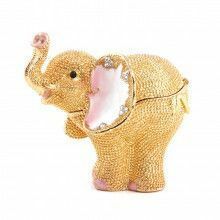 The largest elephant in this set is about 3 1/2" long and about 1 1/2" tall.